The smell of fresh cut grass, the love of yard work, the sight of a plush lawn, these are just a few of the reasons that some homeowners shy away from installing artificial turf. Artificial turf, however, is the perfect investment for homeowners who have enough on their plates and would love to eliminate the chores associated with lawn maintenance. With lawn care comes a multitude of chores and additional expenses (learn the real costs of natural lawns), but artificial turf offers low maintenance and costs while still giving homeowners an aesthetically pleasing yard. Depending on the size of your lawn, you’re either spending time mowing yourself or you’re spending money to hire a lawn service to do upkeep. Once you install artificial turf, go ahead and remove mowing your lawn off of your list of weekly chores and expenses! Along with not needing to mow, you also eliminate buying a lawn mower or maintaining an existing mower. In fact, go ahead and put your mower up for sale, because you won’t need it any longer! Trimming and edging is another responsibility associated with lawn care, but it’s not needed when you have artificial turf. Forget about keeping blades sharpened, oil changed, devoting hours to shaping bushes – with artificial turf, none of that yard work is required to still have a great looking lawn. Weeds have a mind of their own and before you know it they can pop up everywhere with no end in sight. For large yards, if homeowners don’t try and maintain weeds themselves, usually they have to call in outside help to come in and spray/pull weeds. With weeding, also comes buying spray such as Round Up, which is an additional household expense. Weeds do not grow on artificial turf and therefore don’t require spraying or pulling, therefore giving you more time for other more important things. A lot of homeowners spend countless hours researching the best and most cost efficient sprinkler systems to ensure a lush lawn. Once the research is done, then comes the cost and time of installing the system and then maintaining that system for years to come. With artificial turf, you’ll never have to worry about buying or maintaining a sprinkler system again, because the synthetic grass will already be flourishing after installation and won’t need water to ensure it’s livelihood. If you already have an existing system you can still use it but the need will be extremely low because artificial turf requires very little watering (only to rinse if off from pollen or other debris). 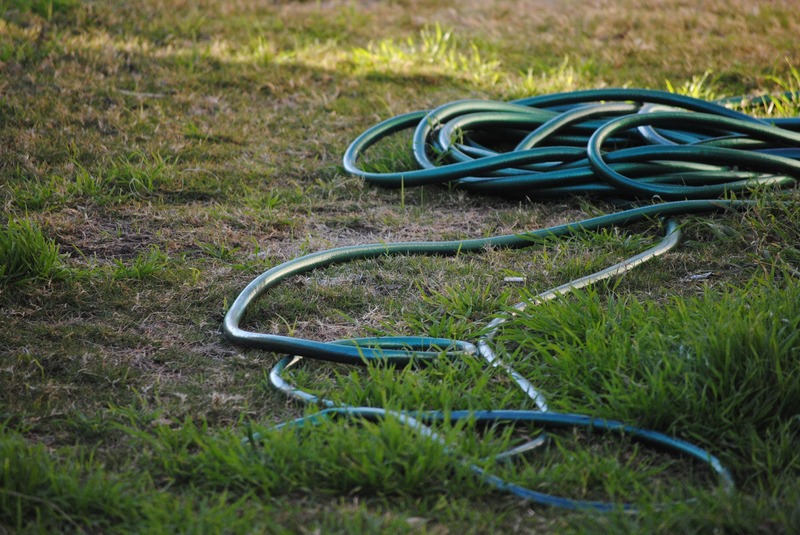 If you don’t choose to go with a sprinkler system, you more than likely have the daily chore of dragging your hose out and watering your lawn. While artificial turf has to be watered from time to time, it is in no way in the excess that a traditional lawn requires. Bagging and raking grass clippings is a tedious chore that you have to keep up with after mowing your lawn. As a result of installing artificial turf, not only do you no longer have to mow, but the chore of bagging up grass clippings is also eliminated. Reseeding an existing lawn is a time consuming process that can become a weekly chore if done correctly. From soil analysis to fertilizing to buying seed to spreading seed to watering, reseeding a lawn is an overhaul. With artificial turf installation, your lawn will look lush and aesthetically pleasing year round with little to no maintenance. In areas where temperatures are high, fertilizing is essential to keep your lawn in pristine condition. The chore of fertilizing can be overwhelming and require research, time and money. Artificial turf doesn’t require any fertilization and does not grow or die off – an artificial turf lawn stays plush and green year round. Pets bring happiness and love to our homes, however their digging tendencies can also uproot yards. According to Paradise Greens, brown patches or bare dirt areas are mainly a result of pets, primarily dogs, digging and creating divots in grass. These areas, along with homeowners having to spend time and money to refill these holes, would benefit significantly by installing artificial turf because it’s essentially impossible to damage a turf foundation. With normal lawns, so comes the constant fire ant mounds and insect spraying. With artificial turf, since the grass has no organic value, bugs have nothing to feed on and fire ants have a hard time coming up through the drainage holes and will therefore make their homes in natural grass. So with artificial turf, the days of spending tons of money on fire ant killer and insecticides are over! Want to learn more benefits of artificial turf? Make sure you download our eBook below.